A delivery cost is applicable to all orders, we offer 2 flat rate options and FREE pickup from our Sydney warehouse, alternatively, if you would prefer an exact cost of shipping your goods or you live in Western Australia or Northern Territory please see options below. Select the second option “Please give me shipping quote” when checking out. Our staff will reply to your request with an accurate shipping cost. Customers are more than welcome to organise their own freight or can pick up their orders at no charge directly from our Sydney pick up point, once our staff have confirmed pick up time via email notification. For the pick-up option, select "Free pick up from warehouse option” at checkout. $19.00 Flat Rate Metro Delivery! We are pleased to offer our Metropolitan customers in Sydney, Canberra, Melbourne, Brisbane and Adelaide (excludes Perth and Darwin) a $17.27 (+GST) shipping option on a consignment of Catering Supplies and Kitchenware. $49.00 Flat Rate Regional Delivery! 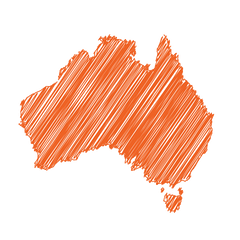 We are pleased to offer our Regional customers in NSW, ACT, VIC and SA (excludes WA and NT) a $44.55 (+GST) shipping option on a consignment of Catering Supplies and Kitchenware. The customer agrees to be onsite at their nominated delivery address between business hours. Mr Chop’s couriers are instructed to leave goods at nominated delivery address if no one is at the address. Mr Chop will not accept responsibility for lost or stolen goods at the delivery site if the customer has failed to be onsite and if goods had to be left at delivery address unattended. If a delivery failure occurs for whatever reason and re-delivery is requested, customers will pay the $25.00 (+GST) re-delivery fee as charged by our freight company. WHILE ALL CARE IS MADE BY MR . CHOP AND ITS CARRIER SERVICES TO ENSURE THAT EACH ITEM IS PACKED AND SHIPPED TO YOU WITHOUT BREAKAGE UNFORTUNATELY BREAKAGES STILL OCCUR FROM TIME TO TIME. MR CHOP CANNOT GUARANTEE REPLACEMENT OF BROKEN ITEMS. BY ACCEPTING YOUR ORDER, MAKING PAYMENT OR RETURN EMAIL CONFORMATION THE PURCHASER AGREES TO TAKE THE RISK. PLEASE NOTIFY US OF ANY SHIPMENT THAT HAS NOT BEEN RECEIVED TO YOUR SATISFACTION AND WE WILL DO OUR BEST TO RECTIFY IN OUR CAPACITY. ALTERNATIVELY, YOU CAN OPT FOR "GLASS INSURANCE" AT ADDITIONAL COST.